II. Adopts the precision 4” 6-jaw awl type chuck. It can clip stably. At the same time, it can grind the cutting edge and web thickness of drills in one set-up. The both sides of drill angle and the edge length are equal. It could keep the accuracy of the center of drill without offset. 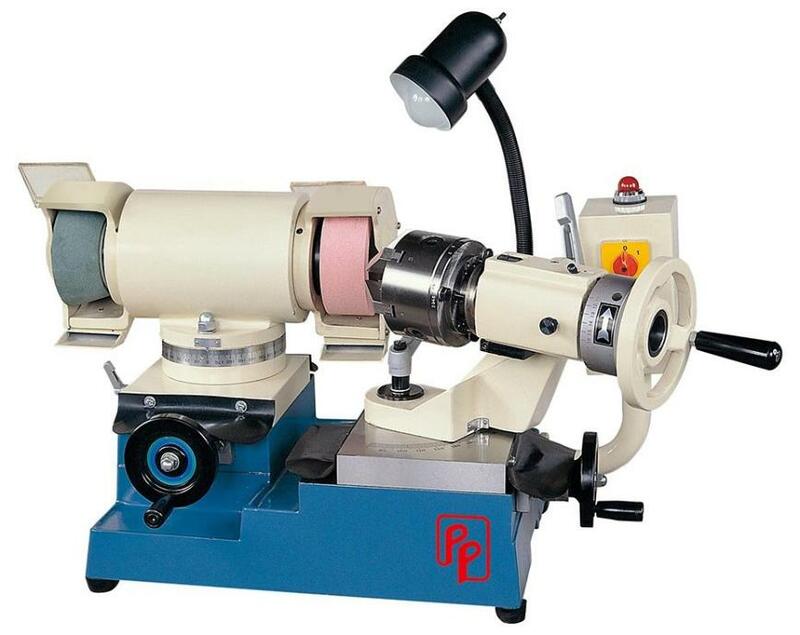 ●The types of tools to be ground: Drill, step drill, center drill, spotting drill, countersink cutter, tap, chamfer cutter, edge of end mill, engraving tool, sheet metal drill, round bar, etc.